Hello! This week's It Girl, I am so excited about! 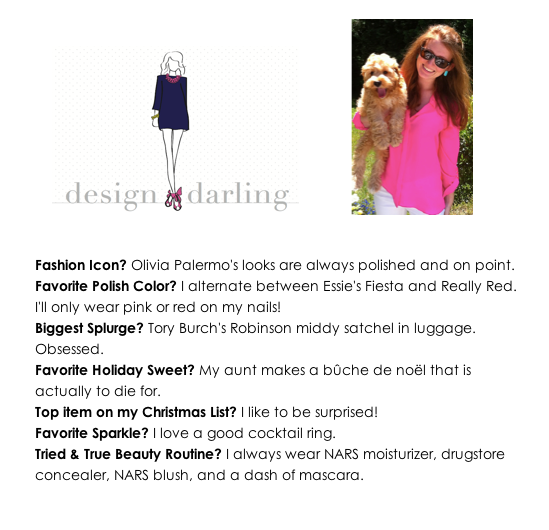 Today I am featuring the lovely, Mackenzie Horan of Design Darling. I had the pleasure of meeting Mackenzie at a Kate Spade event about a month ago (to see more about the event, go here), she is more lovely in person! 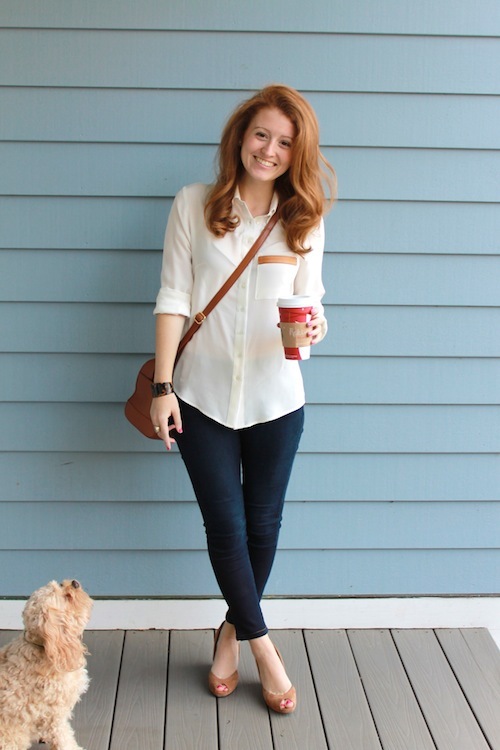 Her blog represents the classic, preppy ,girlie girl who loves anything pink and monogrammed. For the holidays, Mackenzie created a amazing DIY Letter Wreath! The wreath is so unique, and creative! She also has her online boutique, Design Darling. Let me tell you now, I love everything! Mackenzie is so sweet, kind, and incredibly talented. 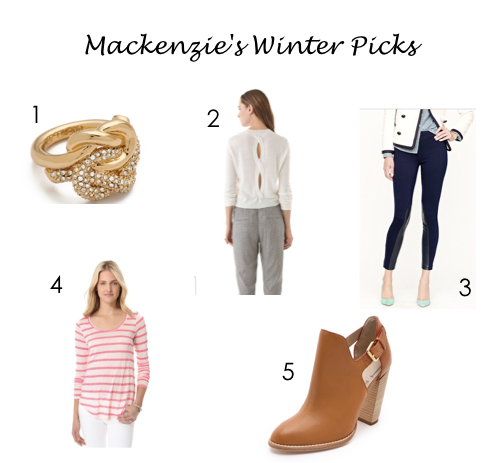 I am thrilled to have Mackenzie as part of my It Girl series! Love her, and love all her picks!